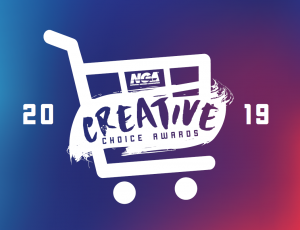 The National Grocers Association (NGA) is pleased to host the annual Creative Choice Awards Contest, presented by Kellogg’s and Unilever, to honor and recognize the best marketing and merchandising programs in the grocery industry. Winners of the Creative Choice Awards Contest gain respect throughout the industry and receive national recognition at The NGA Show. Participation in the Creative Choice Awards Contest will encourage team building among employees and create excitement throughout your organization while demonstrating the importance of using creative marketing and merchandising programs to boost sales and build customer loyalty. As a participant you will have the chance to earn recognition as an industry leader in marketing execution as well as receive accolades in national trade publications. Winners will be honored at The NGA Show, February 23-26, 2020 in San Diego, California. Retailers, wholesalers, manufacturers/suppliers, food brokers and advertising agencies engaged in the creation and use of marketing and merchandising programs for grocery stores may enter.  However, the Creative Choice Awards Contest is a retailer awards competition, and therefore the retailer will be awarded for the entry if it is chosen as a category winner. Marketing campaigns and merchandising events held between December 1, 2018 and December 1, 2019. One entry may be submitted to multiple categories. A panel of judges will determine the category winners based on creativity, clarity and the effectiveness of each program/promotion entered. From the category winners, one “Outstanding Marketer” and one “Outstanding Merchandiser” will be selected by the independent supermarket community through online voting. Winners will be honored at the Creative Choice Presentation during The NGA Show at the San Diego Convention Center, February 23 – February 26, 2020 in San Diego, California. Winners of the Outstanding Marketer and Outstanding Merchandiser titles will receive a grand prize package, which includes a complimentary registration to the 2020 NGA Show. Thanks to our generous sponsors, Kellogg’s and Unilever, there is NO ENTRY FEE for the 2020 Creative Choice Awards Contest!